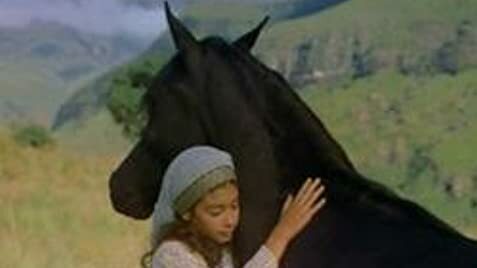 A young girl befriends a wild black stallion. A mother tells her daughter a fable about the prince of the brumbies, brumby being a term for the feral horses of Australia, who must find its place among its kind, while one man makes it his mission to capture it and tame it. Ugh! Bad on so many levels. 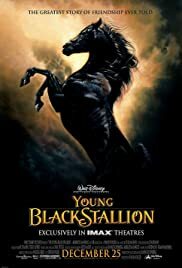 I understand that this movie is made for kids and as a parent I have sat through many movies that don't particularly hold my interest, but I can appreciate from a constructive point of view in how it is being received by my children. Parents are supposed to be encouraged after all to take part in their children's activities and to monitor the quality of the entertainment that they view so there should be something that appeals to an adult audience on some level even in children's movies. Disney has always understood this which is why it is so hard to fathom how it could allow such a complete piece of drek to bear their name. Technically, the sound editing is horrible and all dialog sounds over-dubbed and unnatural. Personally I hate that, but it was doubly awful considering the dialog itself seemed as though it was written by a 12 year old for a school project. The "acting" reminded me of a school play and none of the child actors had any range of emotion in their voices. Thankfully it was a very short movie. If you are lost, don't worry, you will inevitably find your way home. Approach wild animals without any fear. You can win any competition just because you "know" you can. It's okay to disobey authority figures and do what you think is right.